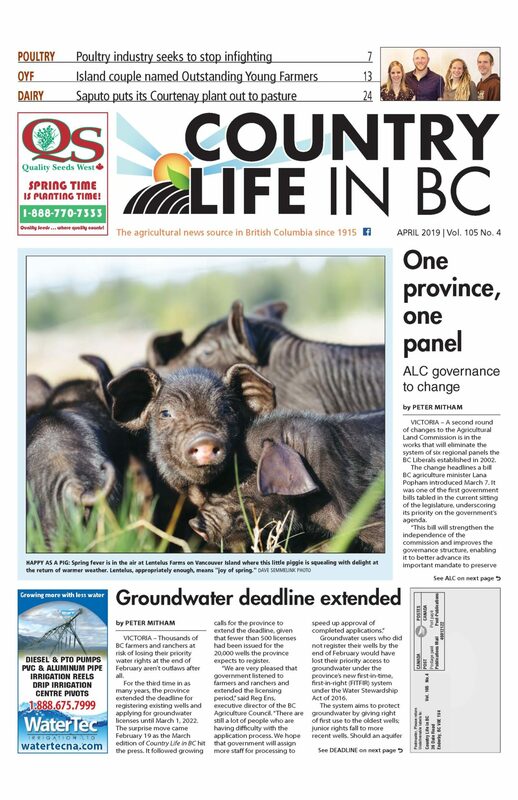 ABBOTSFORD – Growers hoping to cash in on Canada’s newest legal cash crop face plenty of challenges as government wrestles with how to treat a crop that has yet to receive legal standing. Cannabis is grabbing headlines in the mainstream media in advance of Canada legalizing recreational pot (expected by July 1), but Ottawa will continue to exert tight controls on growers, whether they’re producing industrial hemp for fibre, seeds and oil, medicinal strains with soothing cannabinoids or recreational strains with psychoactive tetrahydrocannabinol (THC). Scales, a hemp grower who supplies seeds, oil and flours through his Abbotsford company ACI Foods, says this is where the fun will begin when recreational cannabis becomes legal. To date, the only licensed producers have been growers of industrial strains, which have less than 0.3% THC, and medicinal varieties. Recreational producers will require licences and the current approval process is taking six to 18 months. Were the delay not long enough, a mere 18% of applicants are being approved. They’ll also have to source legitimate sources of seed and work with authorized retailers. Scales says he expects a shakeout following legalization as producers adjust. “It’s going to change the landscape and it’s going to affect a lot of people in this room, and this is where we get into the, maybe, confusing part of this discussion,” he said. On the one hand, licensed producers of medicinal cannabis are securing existing greenhouse facilities to enable them to get rolling as soon as legalization of recreational cannabis occurs. Without naming names, Scales pointed to last summer’s arrangement between Village Farms Canada LP and Victoria-based Emerald Health Therapeutics Inc. to convert a 25-acre greenhouse into a federally licensed cannabis production facility. The greenhouse could produce up to 75,000 kilograms of marijuana annually – initially for medicinal use, but with the potential for recreational products. Canopy Growth Corp. is also partnering with SunSelect Produce Inc. of Delta to develop three million square feet in two greenhouses at a 55-acre site in Aldergrove through BC Tweed Joint Venture Inc. Plans target having a crop ready in time for the legalization of recreational cannabis. Scales expects medicinal producers will shift to recreational production because they’ll be able to work with industrial hemp producers to source cannabinoids. However, the use of greenhouses for cannabis could also impact food production. The displacement of food production for cannabis is an issue the BC Ministry of Agriculture is wrestling with, James Mack, an assistant deputy minister with the ministry and a member of the province’s cannabis secretariat, told COGA. 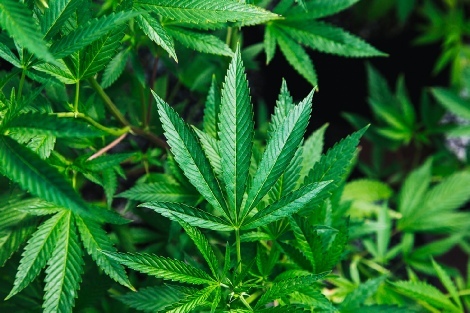 The issue is rearing its head in the province’s consultation on revitalizing the ALR, continuing a debate when medicinal cannabis was legalized as to whether pharmaceuticals are a legitimate farm product and if it should get the same tax breaks – property and otherwise – as other crops. This means it has limited access to farm tax status, and as a federally regulated narcotic it isn’t eligible for support from business risk management programs and other initiatives under Growing Forward 2. How the legal crop will be handled under the new Canadian Agricultural Partnership is unknown. “There’s really a few key issues that are facing agriculture right now and the short answer to each of those is, ‘We don’t know yet.’ We’re working on them,” Mack said. Mack told Country Life in BC that cannabis is categorically different than grapes, which have displaced hundreds of acres of tree fruits in the Okanagan Valley for alcohol production. Cannabis is more potent straight from the plant than grapes. “Grapes don’t pose a threat in and of themselves,” he said. The efforts to incorporate the industry in mainstream agriculture are significant, however, and Mack looks forward to working with a community of legal growers.